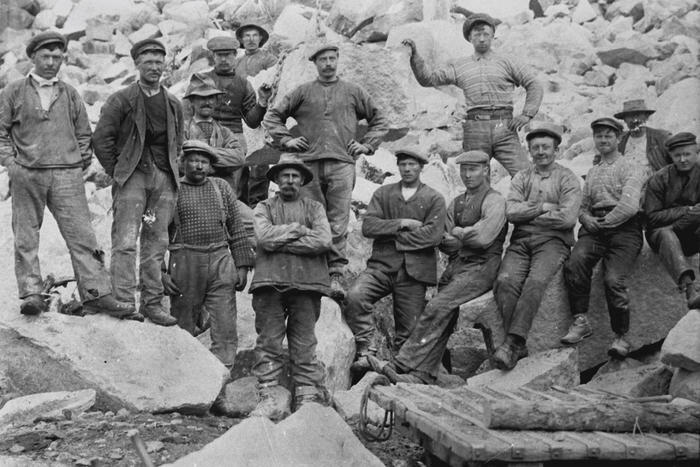 Norway saw a rapid industrial development in the years from 1896 to 1920, and Odda played a central role in this adventure. The Odda factories delivered industrial products, made with new electrochemical processes, to international markets. The abundant power provided by the Tysso waterfalls, from where the hydroelectric power required in the production was supplied by AS Tyssefaldene power station located in Tyssedal, some 6 km north of Odda. The harbour of Odda normally being ice-free, a sufficient depth for ships up to 12 000 tons and available land explains the choice of location. In 1906 Alby United Carbide Factories and the North Western Cyanamide Company began planning and building plants in Odda. The former was to produce calcium carbide, the latter calcium cyanamide. Calcium carbide is one of the ingredients needed to make calcium cyanamide, and to supply the world’s biggest cyanamide factory it was necessary to build an equally large carbide factory. Everything had to be built from scratch: harbour, railway, cableway, workshops, limestone kilns, smelting ovens, warehouses and dwellings. The works were funded by British capital. 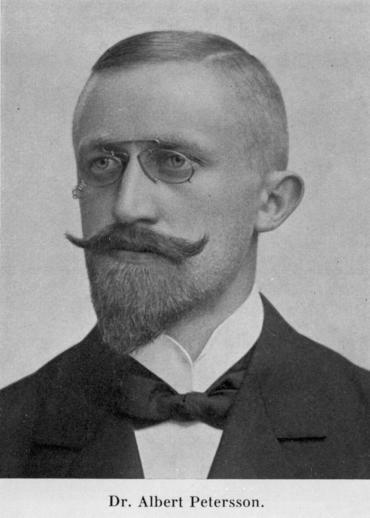 The necessary expertise was provided by the director, the Swedish engineer Albert Petersson (1871-1914) who held a PhD from the University of Zürich. 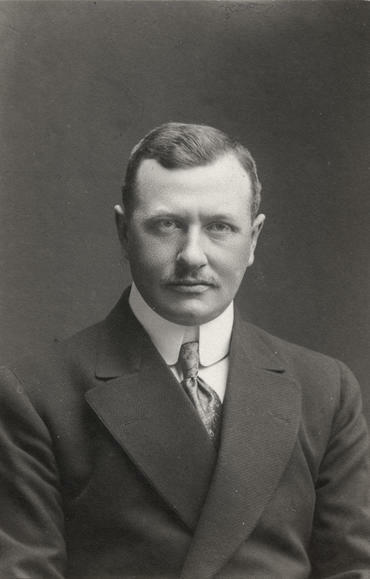 Petersson had worked at pioneering plants on the continent, had important connections in Europe and he had built the Alby carbide factory in Sweden in the years from 1898 to 1906. He was the inventor of the Alby kiln, or the “Swedish kiln”. Petersson built Odda as an industrial development centre in Western Norway, at the same time founding a modern town, whose centre unfortunately came to be covered by the smoke from the smelting kilns. Dr. Albert Petersson had planned a plant capable of producing 32,000 tonnes calcium carbide per year. The first 12 single phase kilns, each of 1.4 MVA, were designed by Petersson himself, and were very efficient for the period. A continuous smelting process, where raw materials were thrown in above and liquid carbide poured off below, assured profitable operation and high quality. The factories were expanded substantially between 1912 and 1914. At that time the carbide plant in Odda was the world’s largest. The Odda factories also produced calcium cyanamide, a chemical fertilizer which until after World War I represented the chief alternative to the nitrate fertilizer produced with the electrical arc method (the Birkeland-Eyde-metoden) at Norsk Hydro. Calcium cyanamide also served as raw material in chemical compositions, for instance in the explosives industry. 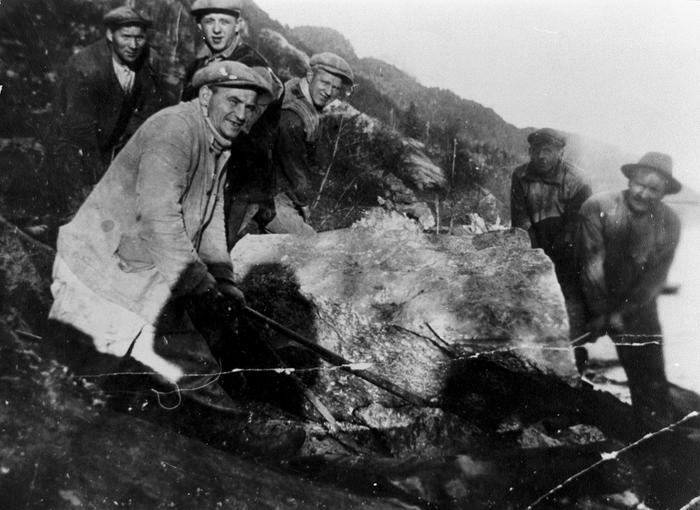 When World War I broke out in 1914 the Odda factories faced economic difficulties. While travelling to London in order to negotiate the situation Albert Petersson disappeared without a trace from the steamboat going from Odda to Bergen. Odda was in grief. Petersson is considered the founder of the industrial Odda. There is a memorial dedicated to him near the bridge at Vasstun. 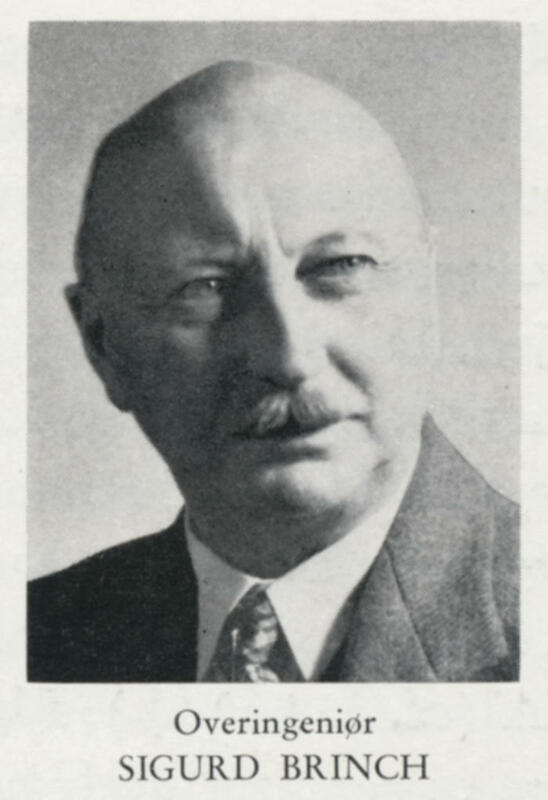 Engineer Frans Wilhelm Bruce, who had worked under Dr. Petersson since 1903 as general manager and head of constructions, took over as director. Bruce was to remain part of the management of the Odda factories and Odda smelting plant AS for 50 years. In 1921 the Odda factories went bankrupt. An international postwar depression with falling production and prices, combined with restrictive monetary politics made survival difficult for many business sectors. People in Odda faced a period of hardship which was to last several years. 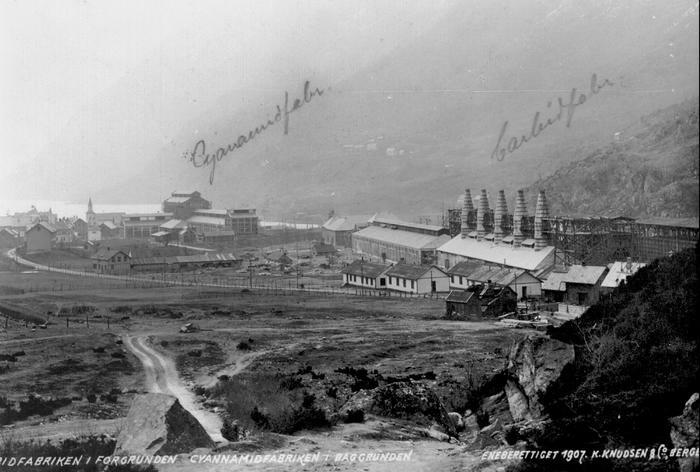 Tourism had ceased to be a source of income, and the inhabitants of Odda had to recognize that the city depended on the smoke-producing factory. The Odda smelting plant - Odda Smelteverk AS - was established in 1924 to take over and operate the carbide works at Odda put into operation in 1908 by the Alby United Carbide Factories Ltd. and the cyanamide works, also at Odda, erected in 1910 by AS North Western Cyanamide Company, both of which went into liquidation in 1922. The Odda smelting plant was primarily a metallurgical plant manufacturing calcium carbide for acetylene production and a number of other uses. The main products of the works were calcium carbide and dicyandiamide. Raw materials were limestone, anthracite, coke and gas coal. From the 1990’s carbide derivatives became increasingly important to the overall results. 1908: Alby United Carbide Factories Ltd. starts the production of calcium carbide in Odda. Intended annual production is 32 000 tons. 1909: North Western Cyanamide Company starts the production of calcium cyanamide on the same premises. Annual production is 12 000 tons. 1921: The general world depression also affects Odda and the two plants stop their production in 1921. 1937: British Oxygen Company buys the share majority of the Smelting plant. The BOC group brings better sales and increases the possibilities for development. 1951: The dicyandiamide plant is built. 1955: The calcium carbide plant undergoes extensive modernization. 1982: The Odda smelting plant puts into operation one of the largest closed calcium carbide furnaces in the world. 1998: The American company Philipp Brothers Chemicals Inc. becomes owner of the factory. 2001: The CY-factory is sold to the German competitor Degussa, taken down and rebuilt in Germany. 2002: All production of is discontinued. The price of dicyandiamide rises 50 % as a result of Degussa being the sole producer of dicyandiamide. 2003: The Odda smelting plant is declared bankrupt in March. 217 workers lose their job. The chemical process equipment of the dicyandiamide plant is dismounted and shipped to China where it is rebuilt. 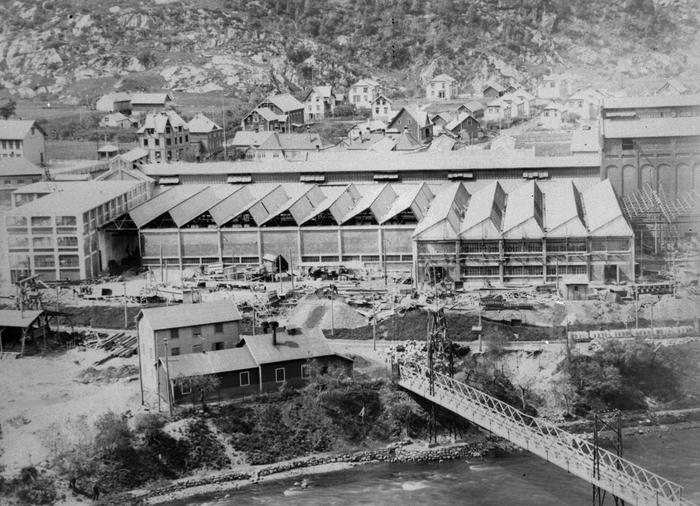 2011: The central part of the Odda smelting plant is declared a national industrial culture heritage site. Most applications of calcium carbide are based on acetylene. Acetylene was discovered in the early Nineteenth century by the Englishman Edmund Davy, but it was not much used until towards the end of that century. While trying to develop a cheaper way to produced aluminium, Canadian Thomas Wilson happened to discover a cheap but efficient way to produce calcium carbide by heating coal and limestone in a smelting oven. Wilson also discovered that acetylene could be made by combining calcium carbide with water. 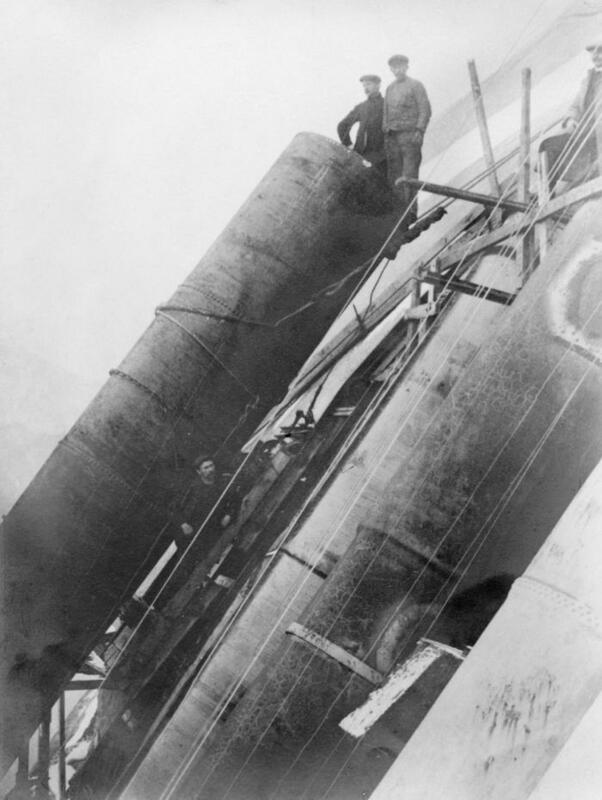 As a result of this discovery, gas was put to extensive use for illumination, due to the bright and clear flame produced when acetylene gas is burned. A lot of lamps in the late 19th and early 20th century used acetylene, which is still used in areas where electricity is unavailable. Today acetylene is used for welding and burning, but most is used as a raw material in organic synthetic industry. Calcium cyanamide is used in two main areas: as a combined fertilizer and weed killer in agriculture, and as a raw material in chemical industry. The fertilizer produced in Odda produced in Odda was known as “Troll powder”. Dicyandiamide was produced by chemical industry, and served as raw material for making plastics, glue, explosives, detergents, weed killers, fireproof materials, colours and drugs. Most served to produce melamine, melamine-formaldehyde plastics of the kind used in varnishes, laminates, gules, paper coatings and for processing textiles.